Plastic Film Corporation is a major distributor and manufacturer of Poly-vinyl Chloride / PVC film. We carry an extensive inventory of Opaque film, clear film and even a line of Expanded PVC films's in a variety of colors, gauges, emboss and size preferences. Our extensive stock selections are available throughout our warehouses in North America. 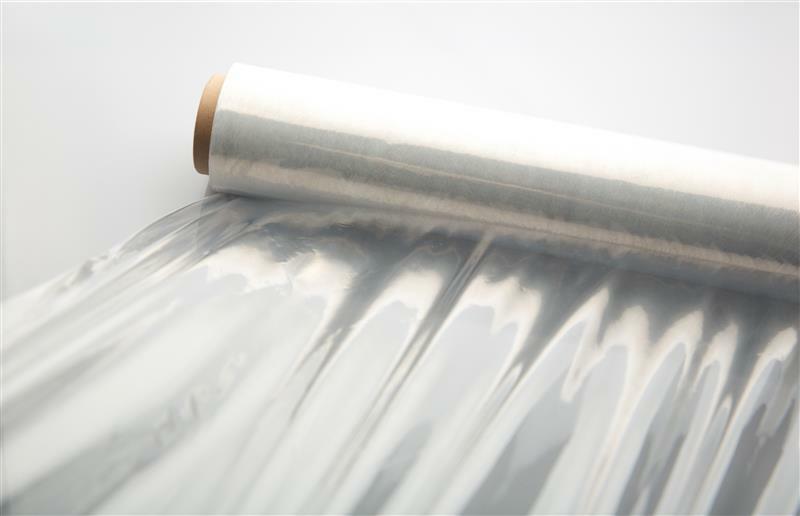 What is PVC (Vinyl) Film? Also recognized as a thermoplastic material that can be highly manipulated with the application of heat, it is ideal for a wide range of manufactured applications. PVC itself has a high hardness structure but it can be made more flexible and soft by adding plasticizers. Here at Plastic Film Corporation we specialize in offering high quality clear PVC film and opaque PVC film to any specifications that our clients desire, set to professional industry standards. Plastic Film Corporation has manufactured PVC film for a variety of applications. Our liners are suitable for use in lining ponds and tanks and for containment of high-temperature liquids and corrosive chemicals, acids and waste. Flexible Plastic window sheet is ideal for numerous applications, including marine, tents, awnings and other applications where high visibility is required.